Fun faux leather bracelet that serves as a reminder of how God sees us, because we are BELOVED, we are CHOSEN, and we are PRECIOUS to the Lord! 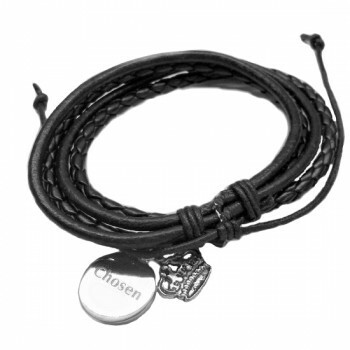 Choose from three easily adjustable bracelets to fit any size wrist. 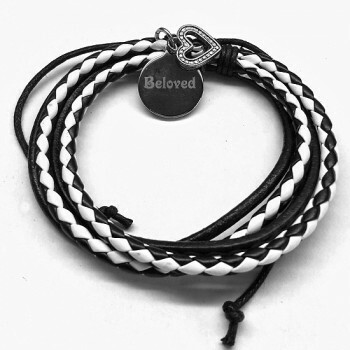 Beloved Charm, featuring black and white braided strands with a bali style heart charm. 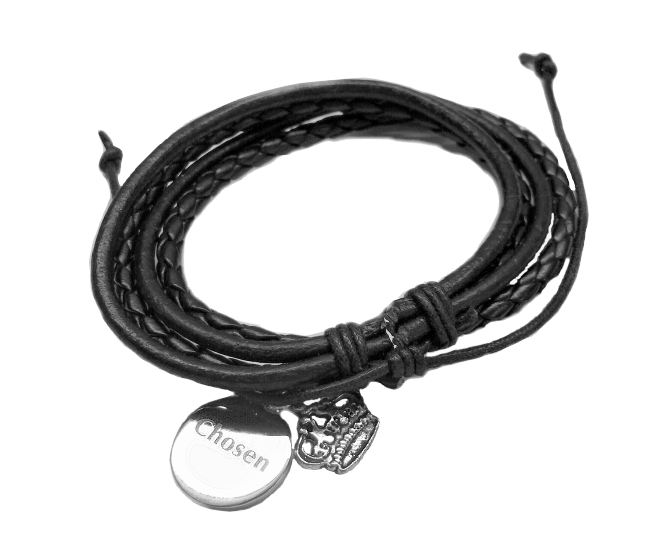 Chosen Charm, featuring all black braided strands with a crown charm. 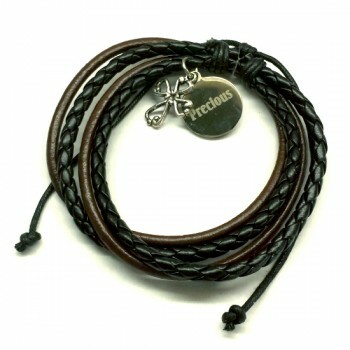 Precious Charm, featuring all coco brown and dark brown braided strands with open cross charm.